In the year 2020 mobile communication will offer you anything you can dream of, anywhere and anytime. Technology for mobile media and communication is developing rapidly. What are the key trends in mobile communication today and for the upcoming years? How does the iPhone, Twitter, facebook mobile or other innovations change our way we communicate? What are the main milestones for your mobile life for the next decade? What will the future of Mobile Media look like? And what will these changes mean for our lives? The MOCOM 2020 community brings together people who are passionate about Mobile. The goal is to analyze current trends and forecast future developments for mobile media and communication. The research methodology is based on a collaborative vision combined with strategic road-mapping and an open crowd-sourcing process. 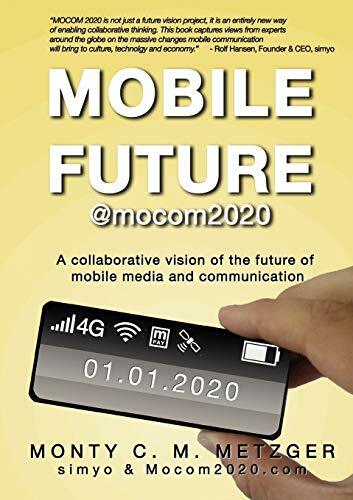 This book summarizes the key results of the first stage of the MOCOM 2020 project running from 2008 to mid 2009.